Sweet, sweet Maddie is looking for her forever family. Someone who will love her forever and not just throw her out. She's already had that happen,and we cannot figure out why! The only thing that we can figure is that they threw her out because she was pregnant! She is just the sweetest girl! And she is a beautiful combination of black, white and gray! 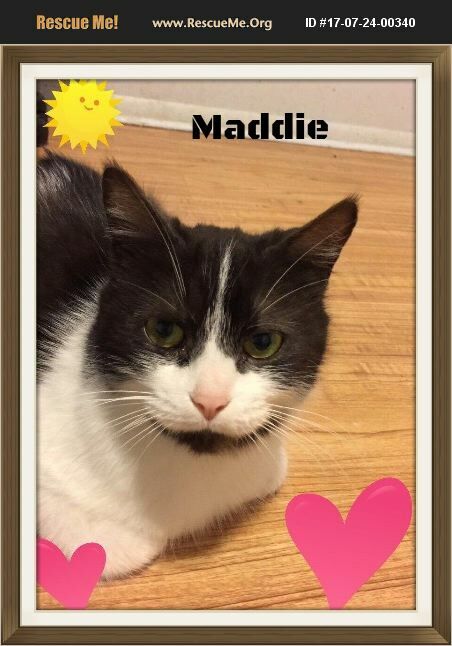 Maddie is about 2 years old, spayed, dewormed, utd on vaccines, negative for feline leukemia and FIV, and microchipped. Her babies have all found their furever homes. Now it's Maddie's turn! Could you be her furever family?! She's waiting for you! Adoption fee is $75. If interested in this sweet girl, please fill out the adoption application on our website, www.waywardwhiskerscatrescue.com. Questions? Please email mi.wayward.whiskers@gmail.com.